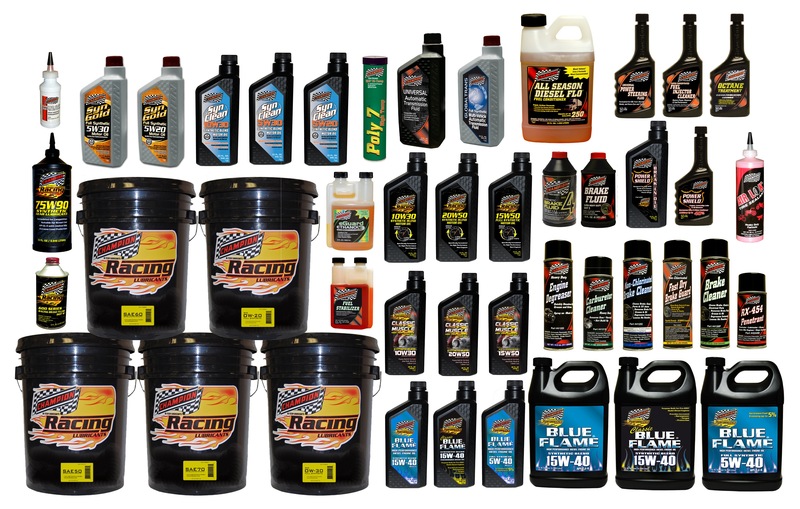 Champion Oil, a global leader in performance motor oils, announced today a one-year free subscription of Circle Track Magazine to end-users with the purchase of either a 12-pack/quart case or a 5-gallon pail of Champion Racing Oil. Founded in 1982, Circle Track Magazine, the #1 source for racing technology, has for the last twenty years taken the most complex technical subjects and theories and put them in practical terms for racers. With a 12-issue cover price of over $70, this publication has the largest following of for dirt and asphalt Saturday-night racers that want to obtain the latest in racing technology and how to apply it. The Champion Racing Oil promotion for the Circle Track Magazine is downloadable at http://www.championsusechampion.com This offer is good only in U.S., Canada, and Puerto Rico, except where prohibited, licensed, restricted, or taxed. Offer is limited to one subscription per household. Original receipt to an end-user with verifiable merchant contact information displayed will be solely accepted. Champion Racing Motor Oils are purpose-built formulas with viscosities to specifically meet the demands of contemporary and retrospective performance gasoline engines, especially carbureted vehicles that have flat tappet, roller cams and/or high-pressure valve springs. To meet these demands, Champion utilizes its premium ZDDP anti-wear protection package, which contains a unique balance of chemistry that includes high levels of premium zinc, moly, calcium, sodium and phosphorus. 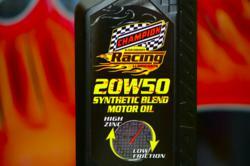 Champion Oils contain an exclusive TVS® (Thermal Viscosity Stabilizer) technology. This proprietary technology delivers unmatched film strength at high temperature, better piston ring seal for maximum compression, and increases horsepower and torque in most engines. These semi and full synthetic racing oils are offered in a popular range of viscosity SAE grades and formulated to meet the demands of most of today’s high performance race engines, producing measurable increases in compression, horsepower and torque.